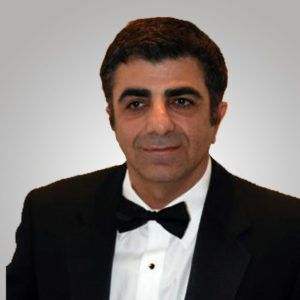 Dr. Azari has been the founder, CEO and President of Arion Energy since 2007. Arion is an international renewable energy (solar, wind and biogas) project developer with offices in Colorado and Hawaii. He has been involved with all the aspects of technical, development & financing of the a very large pipeline of solar, wind and biogas projects. He has been acting as industry expert on several panels at prominent renewable energy conferences. Dr. Azari has 15 years of experience in investing in capital markets. Prior to establishing Arion he co-founded and managed two licensed/registered investment advisor in the State of Colorado, Aperta Asset Management and Acumen Asset Management, which served as general partners for two long-short equity hedge funds, from 2001 to 2007. In both companies, Dr. Azari directed all aspects of organizing, operating and managing a start-up financial services company. From September 1999 to January 2001, Dr. Azari was Portfolio Manager and Director of Research at ICON Advisor. At ICON, Dr. Azari directed all facets of the research department and managed a family of publicly offered sector and international mutual funds with aggregate assets of $1 billion, including one Five Star fund ranked first in the country among technology funds, and two Five Star funds ranked second in the country among all financial and natural resources sector funds in the year 2000. The ICON Technology fund was the winner of the Lipper Performance Achievement Award in the year 2000. He managed three international funds including an Asia Pacific fund. From May 1997 until January 1999, he was Assistant Portfolio Manager and Senior Quantitative Analyst at COBANK where he conducted quantitative/technical analysis for risk management, hedging, pricing and valuation of a $3 billion investment portfolio. Specialties: Dr. Azari has several years of experience working as an electrical engineer for Kendall Square Research and Prime Computers and has published several papers in the area of multi-processing. Dr. Azari is frequently interviewed by the investment/business media, including Investor’s Business Daily, Barron’s, Smart Money, CNNfn, Forbes, Money Magazine, Bloomberg and CBS Marketwatch. Connect on Linkedin. Tim Olsen has specialized in wind and solar project development and wind turbine design since the mid-1980′s through the engineering and project management consultancy Advanced Energy Systems LLC. Tim has extensive experience in project development, including wind resource and technology assessment, economic evaluation, project planning and management, land use mediation, and stakeholder facilitation. He is equally strong in technical services, including wind data analysis, conceptual design, aerodynamic design, structural design, system integration, system testing and data analysis, dynamics modeling, stress analysis, fatigue analysis, certification, and technical due diligence with bank-quality reporting. ​Tim has consulted with numerous firms in the industry including NREL, GE Wind, Keybanc, Chinook Wind, AnemErgonics, Wind Revolutions, Clear Creek Power, Zond Energy, Patriot Wind, Cielo, SecondWind, Northern Power Systems, SeaWest, and PS Enterprises. 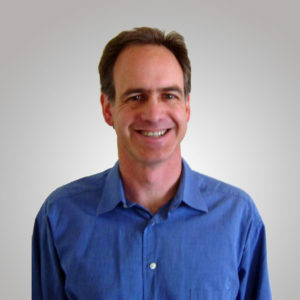 A licensed professional engineer (CO #29136), Tim has two degrees in mechanical engineering: a Bachelor of Science from the University of Colorado in Boulder and a Master of Science from Virginia Polytechnic Institute and State University. 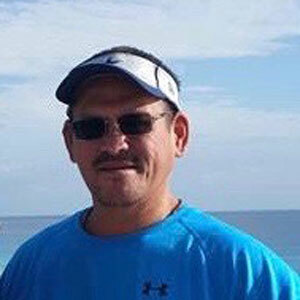 Born and raised in Hawaii, Raymond acts as a business liaison for relations between Hawaii and the continental US. He is also responsible for project communications transpiring in Asia and the South Pacific. Raymond is proud to be a part of Arion Energy. Mudra helps with marketing and research for Arion Energy. She holds a Communications degree from San Francisco State University and has experience working for several non-profits in the bay area. In her most recent work as Legislative Aide for a Hawaii State Senator, she saw many bills related to the environment and its direct impact on our community. She is passionate about *smart* energy use and creating a more sustainable planet for our future.